Solidarity with the General Strike in Italy! 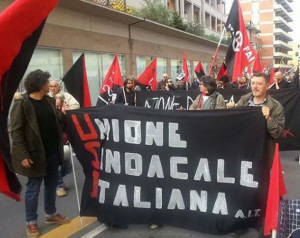 The IWA would like to extend its solidarity and support to the working class of Italy and those who will be on strike this November 14. Our common enemy is capitalism, which lives off the labor of the working class and it must be destroyed. In order to do this, we support the militant action of workers against the bosses. However, in our view, one day strikes are just a first step. 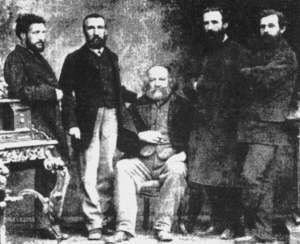 What we need is the radical self-organization of workers, away from the union bureaucrats who are in collaboration with capital. What we need are actions which will spread and last. We call on the workers of Italy and the whole world to organize and increase the pressure! The IWA would also like to send its solidarity to the comrades of the USI-AIT which will take part in the actions. 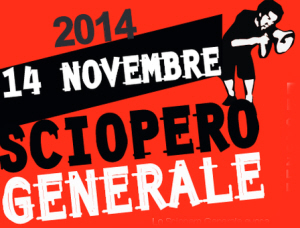 Read more about Solidarity with the General Strike in Italy! Read more about Support the Strike in Belchatow Hospital!